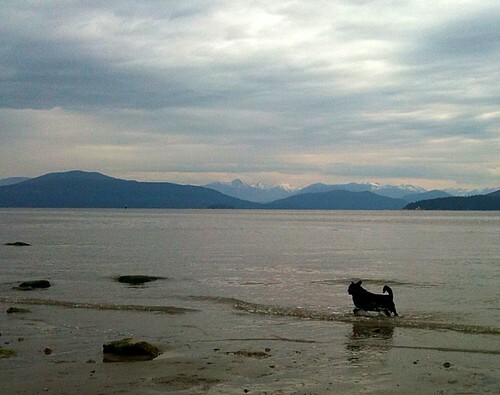 Took the pooches to the dog beach today just as it was starting to cloud over. Still warm & muggy & great for exploring the rocks. TONS of tiny little crabs to watch as they scurried about! The pug loves the water. He only goes in up to his belly, but he could spend hours running along the shore & pawing at all of the rocks (that he thinks are balls). So cute! And great exercise too. You may have noticed that pugs get a little…shall we say…portly? Ahem.